Hello, and happy Wednesday friends! The past couple of weeks have been incredibly busy and productive in terms of wedding planning, and I have so many fun updates I am giddy about sharing! While deciding on which update I would share this week, I pretty quickly realized that I have yet to share the vision I have for our big day! Since I’m still in the beginning process of picking out vendors and deciding on details, my “vision,” or, in other words, the look, feel and personality I’m hoping to bring to our wedding, is really all I have to go off of at this point. During a recent vendor meeting, I was asked to sum up how I picture the look and feel of my wedding in three words. After deciding on them, I was surprised at how I was able to translate and describe all the thoughts swimming through my head so succinctly with just three adjectives! So today, I’m excited to share with you these same three words that I want to describe our big day in hopes of giving you a peek into the “vision” behind the planning process. “Timeless” is also a characteristic I strive for in terms of personal style. I’ve always loved the look perfected by Audrey Hepburn, Grace Kelly, Kate Middleton and the like, and have favored classic silhouettes and styles to trendier looks for as long as I can remember. So when it comes to the look of our wedding, I know I want that same style represented! So, what does a “timeless” wedding look like in terms of Andrew and I’s day? A lot of beautiful tradition. I’m excited to bring elements that have been a part of weddings for decades into our ceremony and reception in a lovely, fresh way. We’ll be getting married in the loveliest chapel, have our reception at the country club that my parents had theirs at, and so on and so forth. It’s definitely going to feel traditional… but not in a stuffy way. I’m so excited! 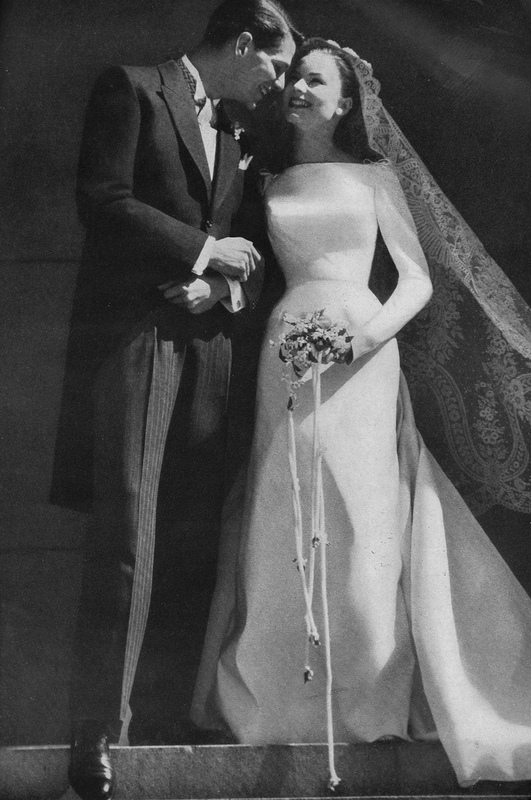 I know there are certain things about the day that will definitely denote a twenty-first-century ceremony, but my dream is to look back on our wedding the same way I look back on those of Grace Kelly, Megan Markle, and many others. 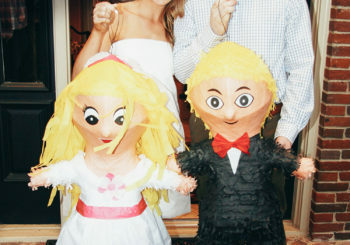 Another characteristic I am dying to bring into Andrew and I’s wedding day? The classic, warm, southern personality and culture I’ve come to know and love from growing up in Texas! 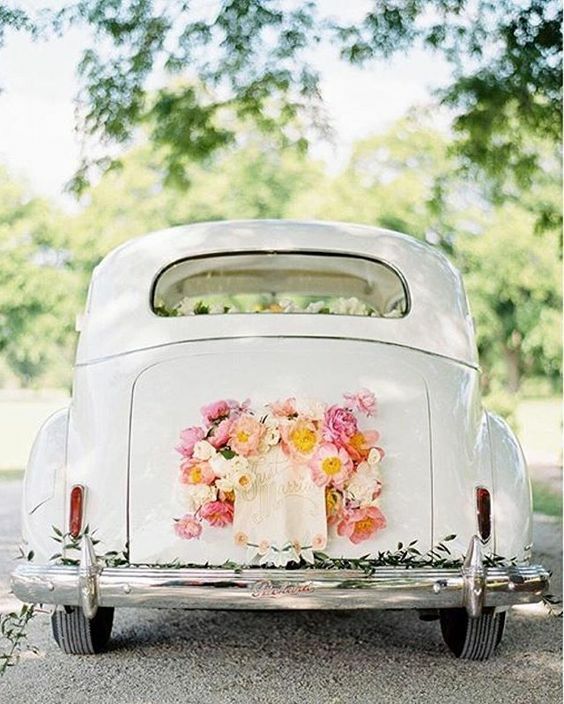 I don’t know that I really want a defined “theme” for our wedding, but I definitely do want to bring in plenty of fun southern elements! One that I’m really excited about? A custom monogram! I’ve seen this incorporated in so many weddings, and just love how personal and unique to each couple it makes the celebration! I don’t know exactly how I’ll use it just yet, but I’ve seen monograms incorporated in so many creative ways and can’t wait to brainstorm more! I’m also still researching who to use to bring this to life, so you have any recommendations I would absolutely love them! Another way I’m looking forward to bringing a “southern” feel into the reception? The menu! Andrew and I have yet to decide on what we’ll serve, but if it was up to me we’d all feast on fried chicken, mashed potatoes, green beans, and all the fixings. :) I think, ok I know my mother is going to draw the line at finger food (so chicken fingers are sadly out of the running) but I’m looking forward to getting creative with this and doing something a little different than the standard offerings. I say all of this now, but we will see! Now, I know after reading the first two words you may be thinking to yourself “yawnnn.” A traditional, southern wedding? I know plenty of you have been there, done that! But y’all, what I’m most excited about bringing into this day is an element of fun. I think that’s one of my favorite things about Andrew and I’s relationship as silly as it may seem to say, we have so much fun together! So in everything from the color scheme (more on that soon) to the band (which is so different and something I’m so excited about!!!) to the decoration details, the underlying vibe, if you will, is going to be upbeat and fun! More than the tradition or the southern feel, I hope people walk away from this day remembering how much fun they had. So, y’all… timeless, southern, fun. Hopefully by now, you have a good feel for what Andrew and I are hoping our wedding day looks and feels like! Now for the fun of bringing it all together! Next wedding Wednesday, I’m planning on posting a planning update… what we’ve done, what we’ve booked, etc. Let me know if that’s something you’d like to see! And as always, thank you for sharing in our excitement! It means the absolute world. Love love love seeing all the wedding ideas and planning! Keep it coming!! LOVE!!! I was reading this post on my phone so I could not see the images to follow right away. As I was reading the “southern” section I thought in my head “Kate MUST check out Mackenzie Horan’s wedding posts” and low and behold you included a photo from her site. Mackenzie’s wedding was so timeless and elegant with the mix of fun. Cannot wait to follow along with yours! Wishing you and Andrew all the best! You ditched “Wedding Sledding”!! Lol! LOVE it! Look into Maghon Taylor with All She Wrote Notes regarding a custom monogram and any touch of southern. She is as sweet and southern as it gets and has one of the most bubbly personalities. I believe she’s actually going to be doing one of her classes in Dallas coming up here soon. You should look at two of my favorite designers for your paper goods: Alyssa at Paradise Design Co. (right here in Dallas) and Jessica at Empress Stationery (So Southern!). A fun way to change up your menu is to swap out a basic chicken dish for quail! It’s an amazing alternative and far less “boring”. I’d ask chef at the club to try a bacon-wrapped jalapeño version ;). Men love it! And there is nothing wrong with a yummy Mac n cheese bar or mini chicken and waffles passed hors d’oeuvres! I got married in July (with literally the same vision). 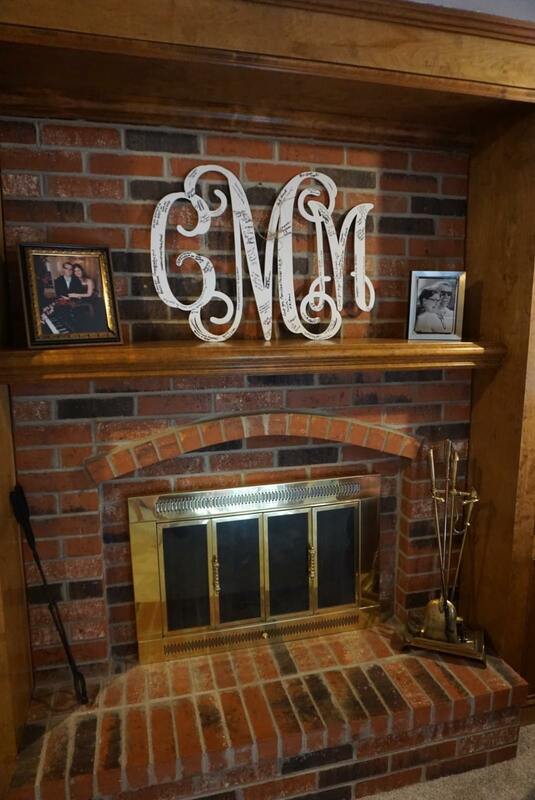 We had a custom monogram that a friend from college did! She is in Texas now and is super easy to work with and works so fast! She also designed our save the dates! Would love to share her contact info with you if you’re looking! I don’t have personal experience with Emily Mayne but I’m obsessed with her instagram and custom monograms. (I found her while searching for a monogram for my baby’s nursery). I’ve been married for over 7 years but if I were getting married now I would totally look into her creating a custom monogram and wedding suite. And I think she’s in Texas! Bonus! Linking her website in case you’re interested. Best wishes on your upcoming wedding! Engagement and wedding planning is such an exciting time! Emily McCarthy for custom monogramming & paper goods! She’s Savannah based & is SO amazing! Love love!! 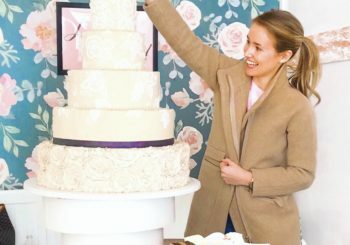 The best thing we found during our Wedding Planning here in Dallas was going to Open Houses at Venues (Event Dates on Brides of North Texas website). Even if you have a venue the Open Houses are SO helpful because multiple vendors will be there and you can meet them in person AND see their work! It’s how we chose all of our vendors! It was the best best thing! Happy Planning sweet girl! Ditto on All She Wrote Notes! Also, my amazing friend Katie runs @neerthecreek and would be a more affordable option without losing quality!! She’s so talented! She did a watercolor of our church for the front of our program, as well as all the calligraphy on our envelopes and our placecards! I’d be glad to show you some pictures of the work she did for us!! Look at Wendy Krispin Catering! They’re located in Dallas and created the extract meal you described for my wedding two years ago! We received so many compliments on the food at our wedding and it was all becaus of her! Check out Empress Stationary for your monogram! She did ours and I absolutely loved it. She’ll send you three designs and you can then tweak/edit your favorite! Used on napkins, goblets, invitations etc. Kate- Your wedding is going to be amazing and beautiful and all things you! Someone already mentioned them but we used Empress Stationary for all of our wedding details including our custom monogram! I love the way it turned out and can’t wait to have it used all over our wedding this December! Wedding planning in Dallas can be daunting but it is so much fun! Enjoy the process and don’t get stressed! Our engagement will be 7 months and it was plenty of time and we weren’t limited on our choices of vendors at all! Kate you have to go with Ceci Johnson of Ceci New York for your invites and paper goods. There is simply no one better in the business!! Ceci and her team are the nicest people and exceeded my expectation with everything they did for my wedding!!! I could not agree more!!!!!!!!! 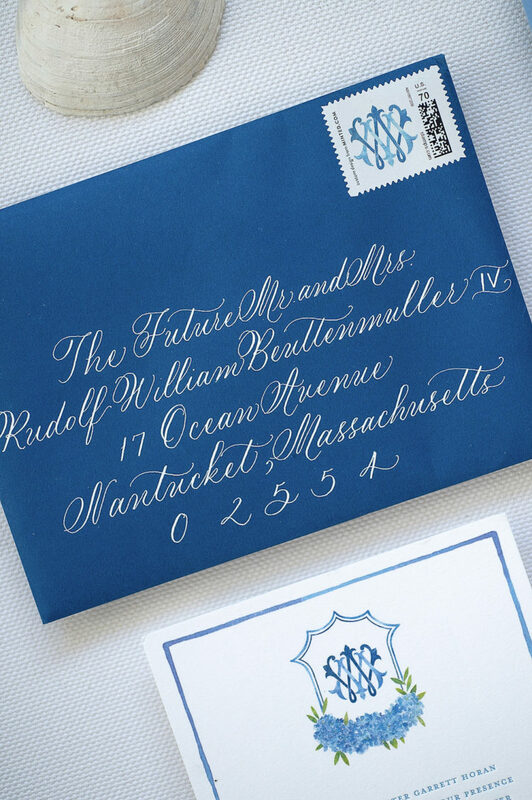 When looking for a custom monogram and invitation design I was told about Ceci New York. Upon meeting with Ceci and her team I knew it was a match made in heaven. Working with them was the best part of my wedding aside from marrying my husband lol. Thank you both so much for recommending us!! CONGRATULATIONS on this exciting time in your life! We have been following your wedding planning process and would love to work with you on your custom monogram!! Feel free to contact us on Instagram @cecinewyork or @cecijohnson or by email [email protected]. Kate this sounds lovely!!! You can totally find ways to incorporate the southern feeling to your wedding with food! We were married in Charleston, SC and had truffle Mac and cheese, mini pulled pork biscuits and lowcountry boil skews as appetizers! The way are catering team did them they were southern foods dressed up to still look appropriate for a formal/ traditional wedding! Best of luck with planning!! Ahhhh I would pick southern and timeless too! I think the classic weddings are beautiful because in 20 years they don’t go out of style! You’ll still be thinking man WE LOOK CLASSY you won’t have to look back to see some crazy trend that is no longer in style. Of course true southern belles are always classy so perfect for you Miss. LoneStar Southern! I can’t wait to meet your bridesmaids! I hope you’ll be sharing who they are and how you met them on Instagram or your blog!!! Love your updates & hope you enjoy this time! P.S. I’m so happy that you post videos on Instagram because reading this in my dorm room I can you in your words! I am from Ohio and my hubby is from NC. I am of Italian heritage and had many nods to that in our wedding and reception. But, I also wanted to look out for my husbands southern roots and have them represented as well. One of the things that I did was have a groom’s cake at our wedding reception. It wasn’t an armadillo or sports themed cake. It was a huge tiered chocolate cake that had chocolate custard filling. It was beautifully frosted and piled high with chocolate shavings. By husband LOVES sweets and anything chocolate. I swear you could smell that cake when you walked into the reception area! We had one long table with both our traditional cake and the “chocolate bomb” on it. My husband was so surprised and knew that it was a decision made with him in mind! Of course, my side of the family had no idea what a groom’s cake was, but my husband was very touched and appreciated it a lot. The guests loved having the option of traditional wedding cake and chocolate cake, but most opted to have both! :) Think of something that will have special meaning for Andrew and surprise him! It is so much fun!! Emily McCarthy in Savannah makes the most beautiful custom monograms! My husband and I had a custom crest made for our wedding and it was amazing! We had it embroidered on a tablecloth for a table that our cake was on. Then we used it on all our thank you notes! Also, we definitely had fried chicken, brisket, Mac n cheese, and green beans for our meal! With pimiento cheese sandwiches during cocktail hour! The homestyle food was a hit! For your custom monogram, you MUST have it done as a neon sign! My husband and I ordered a huge one that said “The Robinsons” in a (what I call haha) rock and roll script that we hung at the reception! Everyone loved it, and it helped tie in the colors of the wedding. Even better, we’ve hung it on one of our vaulted walls in our living room. It’s such a fun memory, and I can’t wait to prove to our future kids one day that we were cool at one point! 😂 Seriously, it was all custom, not terribly expensive, and something we will keep forever. Highly suggest! I’m getting married in June of next year too! We’re doing a custom monogram cipher just like Mackenzie did as well. It’s going to be on the top of our invitations, go on stamps (maybe), and on koozies and cups! @shulerstudio on Instagram, she is the best at custom monograms!!! Such a sweet lady too, she has known me my whole life, and I cannot say one bad thing about her. 10/10 would recommend, at least check her out on Instagram! For Decor, check out Jackson Durham if you haven’t already. Their team NAILS it in terms of southern , classic and elegant weddings. Branching Out is also one of our favorites for clients – those ladies are an absolute blast and produce a very timeless affair too. :) Happy Planning Kate! From one kappa to another, congratulations! I’ve been reading the blog for a few years now but this is my first time commenting. Check out Nico and Lala https://www.nicoandlala.com/. They are stationed in Nashville/Chicago. They specialize in creating wedding branding and customizing product just for you. A ton of our brides have used them and their products always turn out beautiful! They will create a logo or monogram specific for you, design all the stationary, programs, welcome bag items, favors or even bachelorette party goodies etc. Best of luck and happy wedding planning!! Can’t wait to hear more details! I love the personalized monogram idea for your wedding! I have a really talented friend in Dallas who does a TON of graphic design for weddings (invitations, save the dates, personalized monograms, Snapchat filters, etc.) . Check out Moxie Creative Media! Meredith is so talented and sweet to work with. Happy planning!!! I love the custom monograms and wedding paper suites done by @simplyjessicamarie (she’s in Dallas) and @emilymccarthyshoppe (Savannah). Oh thank you so much, Angie!! That means the world to me, as designing custom monograms and wedding crests is one of my absolute favorite things to do! Emily is so incredibly talented, too!! I loved my stationary suite & custom monogram from Empress Stationary! I loved this post because it was so me in the wedding planning (just got engaged Feb. 2018 and married Aug. 2018)!! Literally, my buzzwords were classic, southern, and timeless. I think a way that I really got to bring some of these words into play was through the details. I did not want to get lost in a sea of details, but I picked out the ones that meant the most to me when I thought of my wedding. I satisfied my southern longings through my flower choices (Magnolia, magnolia, and more magnolia!! Of course, gardenias, and a few other of my southern favorites) and my venue. I loved how driving up to our venue you saw a perfectly manicured tobacco field with the prettiest fence, and crepe myrtles in full bloom lining the drive. We got married on the front steps of a big white plantation home that made me feel like Scarlett O’Hara. To counter balance the idea of being outside for a more formal event, I kept just about every tradition in the book and took it VERY seriously. No “first look” photos, no pick whichever side you please, no out of the ordinary guestbook, just simple and classic. I also got a cathedral veil, which just tied it all together in my mind. Of course, I took your idea too, and we had a southern meal. We wanted nothing shy of a good old fashioned southern supper with a fancier twist. We had Carolina-style BBQ, beef brisket and greenbeans. For h’ors d’oeuvres we had shrimp & grits. There were other things on the menu, but I truly can’t remember what else was on there! Anyway, enough about my wedding, you’ve got one to plan! Not sure if any of these things were helpful, but I wanted to say something since our words were so similar! Having buzzwords really helps you and your vendors make decisions as you go through the process of planning your wedding. You’re off to a great start!!! CONGRATULATIONS! Don’t forget to enjoy the memories you are making with your family and most importantly, don’t forget to invest in your husband-to-be! This is, more than anything, a time to prepare your hearts to become one. Be present and make time for him that doesn’t involve wedding planning! Be okay with putting it down for awhile and delegating when you get too in the weeds! I let stress get in the way at times, and this is my best advice! Spend some time with older married women you admire and seek their wise words regarding marriage in this time, and have them pray for you during the engagement season. Another sweet thing I did that I will cherish forever! We had our monogram on the top tier of our wedding cake! It was piped in the same color as the fondant so it didn’t stand out but was a subtle detail (which is what I was going for). We also had custom cocktail napkins made with it for cocktail hour which was another small but fun touch!